I took a bit of a break from my commission today to work on a painting I started back in March, has it really been that long?!?!? I have been itching to play with my oil paints for sometime now so I cleared a spot in my very messy studio (it was paint or clean :)) and I added a few more layers on the entire painting. 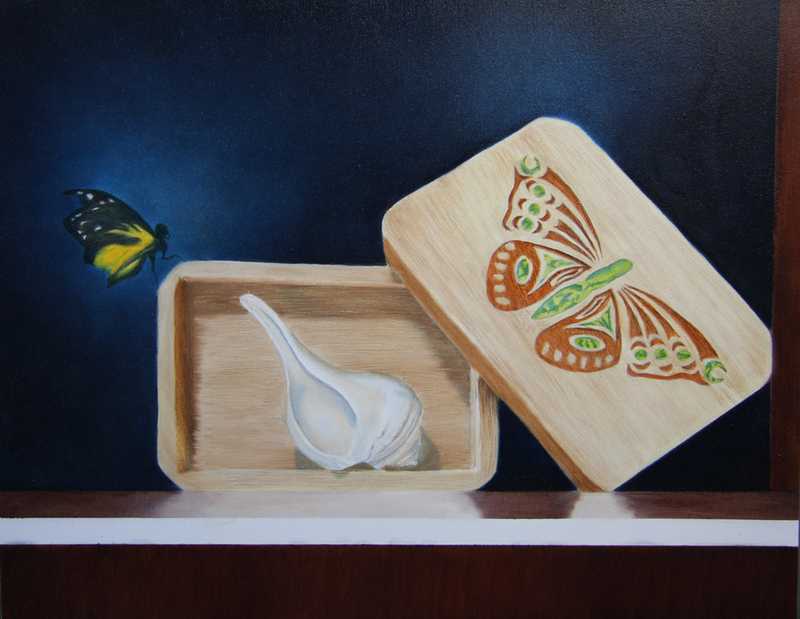 WOW, so this is one of your first paintings in oil! It's beautiful. Can't believe you haven't been doing ti all this time. Keep at it. Either way it's a good thing because you're learning so much from it. I want to take up another medium but haven't been able to decide which one yet. I've been trying to decide between oil and encaustics.